Clinton Global Initiative America: Hot Stuff or Hot Air? As the heat gets turned up on investments in STEM education I am looking forward to seeing how – and if – the Clinton Global Initiative America STEM Education working group can help “move the needle” so to speak. Comments, thoughts and suggestions for the CGI STEM Education working group program are welcomed! 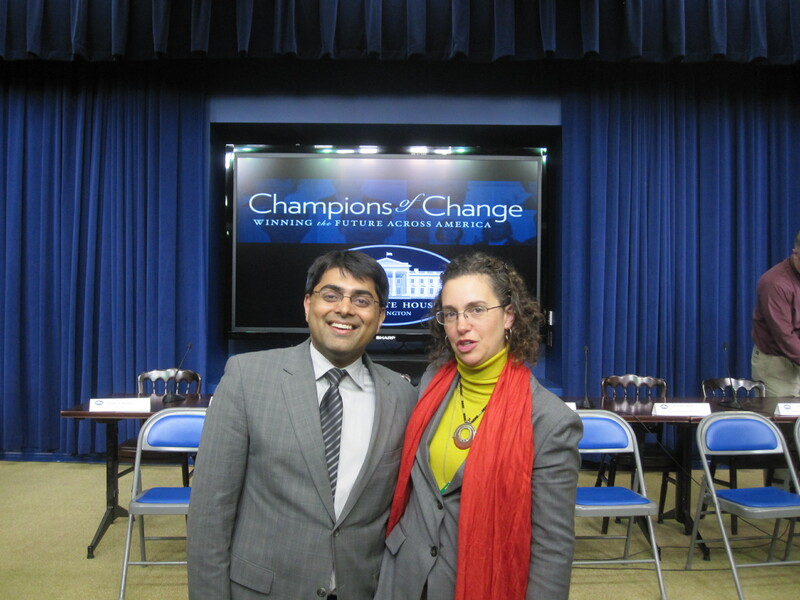 Me with Kumar Garg, Senior Policy Analyst for the Office of Science and Technology Policy. 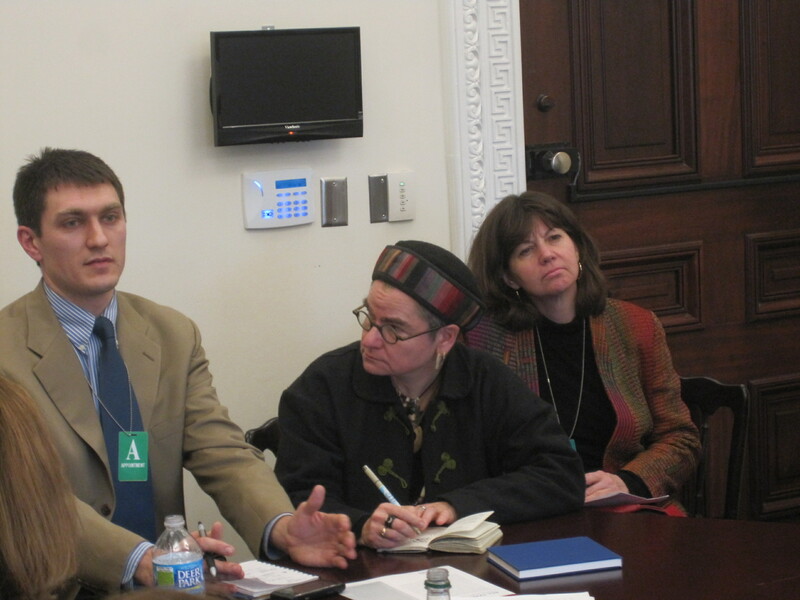 Each month the White House convenes groups monthly as “Champions for Change” – a chance for a diverse cross-section of stakeholders to come together with policy makers and talk about what the issues are, what’s working – and where we need to go from here. The Champions have written some terrific blogs – each with insights worth checking out. I had the chance to be in the session on changing the image of women and girls in STEM. The group included representatives from education companies and mining companies; teachers at schools and district CEOs; professional science societies and media mavens; nonprofit organizations and education activists. Talking tech during the breakout session. We need to disaggregate data – and generalizations – about girls and women and STEM. The issues are not the same for a groups or at all times. The issues of engaging and supporting young girls to develop fluency with science thinking are different than issues of PhD candidates dropping out before completing their doctorates. At Project Exploration African American girls are the MOST likely to be engaged in our programs and the least likely to have ongoing opportunities to stay involved with STEM once they get hooked. For our girls, interest isn’t the issue – opportunity is. For Caucasian girls in some of my colleagues’ programs in suburban, more affluent schools, social stigmas may keep them from even exploring if they have an interest in science. We need to be less about large-scale science “competitions” (many of which are supported by critically important corporations) and more about science thinking and learning by doing. 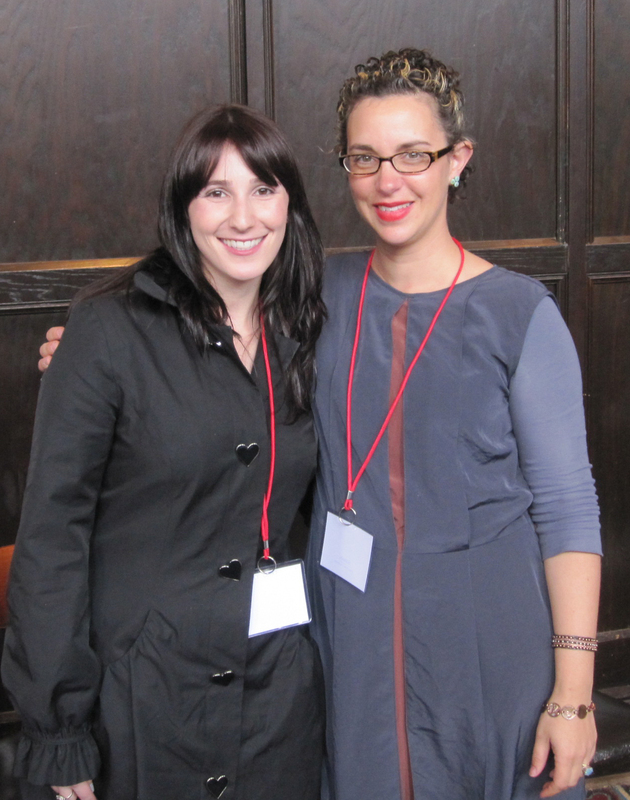 (Thanks toLucy Friedman for raising this issue).Focusing on competition in science can turn off large numbers of students with families and cultural backgrounds that do not focus on individual or team achievement and also can disengage girls who are more interested in working in groups in non-competitive settings. Project Exploration lets students’ progress into programs that require increasing competence based on their interests; we have fun and play games but science learning for us is about individual and group experiences, communication and reflection. Valerie Jarrett, Senior Advisor to the President, welcoming the convening. We need to show more of the images of girls and women we know are involved with – and love – STEM.Mainstream media images of women in science show women who are often one-dimensional and, if they’re really “smart” often socially inept. In fact, we should be focusing on highlighting girls as INTERESTED in STEM rather than continuing to frame the issue in terms of girls NOT being interested in STEM. Further more, we should not be talking about science as the “end.” Science is not – and cannot be simply about “science for science’s sake.” Science opens doors onto observational and experiential adventure – and enables girls to make discoveries about the world around them as well as themselves. If anyone needs images, or narratives of girls in STEM who learn it, love it and use it – even if they decide NOT to be scientists – Project Exploration has these in spades. Dr. John Holdren, Director of the White House Office on Science and Technology Policy. Finally, we need to stop defining the issue of STEM and girls’ participation in terms of deficits in “teacher preparation” and (or vs. depending on who is speaking) “parent engagement.” In my opinion we need to reframe the entire discussion in 21st century terms: young people have access to any information they want at any time. The real questions are 1) what is the role of an adult in a young person’s life? 2) what are the experiences worth having to support girls’ to develop fluency with the skills STEM affords? 3) how should adults organize themselves around young people’s development to ensure students get – and can stay – involved with STEM pathways throughout their lives? At Project Exploration these are our defining questions. As we search for the answers we’re coming up with some ideas about the real change we need now for girls and STEM. Three champions for change! Eileen Sweeney (Project Exploration Board member ermerita), Motorola Mobility, me and Anita Krishnamurthi, After School Alliance. NOTE: This blog was also posted on the Project Exploration blog. This is Cameron. He is a Project Exploration intern at the Fossil Lab at the University of Chicago. He will be an 11th grader at North Lawndale College Prep. He is cleaning rock off the bones of a 110 million year old crocodile. This is Rachel. She will be a 7th grader at Kenwood Academy. She is dusting for prints as part of our Forensics Investigators program. The students investigated a mock crime scene in Washington Park with scientists from the Illinois State Police. If all goes well, Cameron and Rachel will be in the “slim six” – the slim six percent of African Americans who met college readiness standards in science on the 2011 ACT. As measured by 2011 ACT scores only 23% of Illinois students – from public and private schools – are ready for college. The ACT is four-hour long national college placement exam that measures students’ content knowledge in English, Math, Reading and Science. As reported by Rosalind Rossi in the Chicago Sun Times today, in Illinois in all subjects African American students scored the lowest amongst their White, Hispanic and Asian peers. Our experience at Project Exploration suggests otherwise. Across our youth-science programs we can’t meet student demand. Currently the greatest demand is by principals and African American families for boys’ programming to match services for girls. When given the opportunity to do meaningful, hands-on work, alongside adults who are passionate and knowledgeable, students don’t just take advantage of a program they come back for more. We know this from more than a decade of programming with more than 1000 students. Then what IS going on? What is the deal with these ACT scores? I think a few things but the main one is that science magnifies the inequities in education generally. It’s a peculiar subject. From an academic standpoint science weeds out and (in some cases by design) pushes out students who struggle with reading and writing. The most “fun stuff” in high school science (experiments and dissections) is most often the reserve of students in the highest performing groups and Advanced Placement classes. If you don’t read well or write well it’s unlikely you’ll get to be part of those programs. From a resource perspective under-resourced teachers in already under-resourced schools don’t have the time, tools or professional development they need to do right by science and by their students – much less what they need for themselves to be stellar teachers. From and educational policy perspective science lives a far third behind reading and math; test scores on standardized tests don’t measure science with the same frequency, intensity as reading and math. But the standardized testing itself may be what’s most detrimental of all: multiple choice and short answer tests reduce the very creative, problem solving and observational skills that science, engineering and technology to their most superficial versions. But even if STEM was given plenty of time and teachers had the training and support they need there is a critical third factor at work for students least likely to be prepared in science for college: out of school experiences. We know that science in school is important, but it will not be sufficient for ( in the framework offered by the President’s Council of Advisors on Science and Technology (PCAST) preparing and inspiring young people when it comes to science. Students don’t really know what science IS till they get to do it. And they can’t conceptualize science as a way of life if they never meet people who live it. The best, most well-researched curriculum in the world won’t reach students who are disengaged and disenfranchised from school. If things go well Cameron and Rachel will be in the slim six percent of African American students who are ready for science in college: they’ll not only have the reading, writing, and math skills they need, they’ll have experiences that will enable them to get a C or higher in a freshman biology class. If things go really well, they’ll discover a way of thinking about the world and wonder for the world around them through science. They’ll come to understand the difference between evidence and opinion and they’ll know that if they CHOOSE to pursue science there’s a place for them in it. What will it take for things to go well? It will take opportunities for Cameron and Rachel not only to GET interested in science, but also ongoing opportunities to STAY involved with science and through formal – and informal opportunities – to develop the skill set they’ll need to get a competitive score on the ACT test. But what about the other 94% of African American students? They need the same things as Cameron and Rachel. But unless there is a plan the slim six will stay slim. The community invested in education and STEM initiatives need to get organized with students at the center of learning systems. We need our rich science community to make pathways into science transparent and available. We all have a role to play – inspiring , equipping, and sustaining students. This is one case where we’d like to see the slim get fatter. This post is a kind of “Cliff Notes” to the TEDx Uchicago held this past April 17th… and a little more. If you aren’t familiar with TED, the official version runs along the lines of the following: TED (Technology, Entertainment and Design) is a nonprofit effort devoted to “ideas worth spreading.” It originated as a single, four-day conference in Monterrey, California 25 years ago. Now an annual event, the conference invites the “world’s leading thinkers and doers” to speak for 18 minutes. Since 2006 many talks have made it online, where they can be viewed for free. And viewed they are. In July 2010 290 million global viewers were watching, (bringing an interesting perspective to the phrase “the whole world is watching” but more on that later). “TEDx” is the way TED is going “to scale.” You may not get accepted for the California conference. You may not have the bucks (reported at $6,000) it will take to get in the door if you’re lucky enough to be invited after you apply. But you CAN organize your own event. And so, back to TEDx Uchicago 2011. When it came time for closing remarks I tried to summarize what the audience of 600+ heard from speakers throughout the day through the filter of the conference theme, “Reinventing the Life of the Mind” – with acknowledgements to speakers along the way. (*Cue: This is the Cliff Notes portion of this post). Reinventing the life of the mind may require we keep the following in mind: Legalize marijuana and license vice (Leitzel); visualize sound in terms of symmetry (Cabral); see the shape and form in science, visualize what can’t be seen (Sereno); and keep in mind that you don’t need to see to believe or to build (Downey). We cannot reinvent ourselves without others. We are in control of our destinies. We must invent the future we see in our minds’ eye. But if that future is to be for all people, rich AND poor, we must leave the 19th Century model of education in the past. (Strong) The future is about questions (Wolcott) – and asking questions leads to liberation. TEDx Uchicago is not the only TEDx I’m involved with. 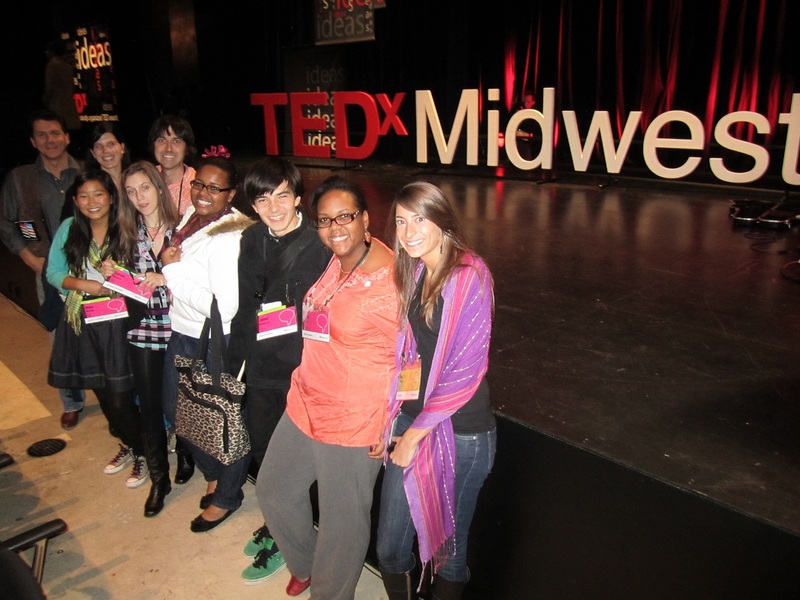 Through Project Exploration I’m involved with TEDx Midwest and TEDxMidwest Youth efforts. But I’m not a believer. I am not a “TED-Head.” I am suspicious. I had someone tell me that TED the ‘contribution of our generation’ under the impression that my involvement meant that I, too, was on board with the movement. Critiques of TED are not rampant, though there are a few. For the most part complaints target the elitist nature of “getting in.” Event organizers try to create an environment of intimacy and exchange; a chance for audience members to mix easily with presenters and for ideas to flow like wine (or is it honey?). Who wouldn’t want to be picked? But as the TEDx Youth event approaches this fall I am trying to work through what, exactly, my issues are, with the endeavor, particularly given how many teachers, colleagues and friends I know who love the TED videos. The well-produced videos of TED presenters are manna from heaven for teachers who are in need of concise, compelling explanations and inspirations from passionate experts to use in classrooms. The presentations are free online – really free – you can just watch them. Talk about public education for the 21st Century. But if it takes work to pry open the doors of auditorium to get in as an attendee (which is what’s at the heart of my efforts with the TEDx Midwest Youth event – leveraging this opportunity for my students to get in the door, get front row seats and have a chance to be affirmed as well as inspired in their own endeavors), it remains to be seen what can possibly be done with the speakers. We can hope the line-up at the UChicago event is not par for the course for TED or TEDx in general. Of the 15 speakers on the program 2 were women. One of these, however, was a last-minute fill-in. Which means that if Candice Katz – cupcake afficionado, gamer and geek extraordinaire – and had not shown up to fill in for Adi Sideman on behalf of Oddcast there would have been 14 men and 1 woman. (I am not counting myself, though my time on stage probably added up to 18 minutes when all was said and done). Furthermore presenters were 75% Caucasian; not particularly representative of the population of Chicago, and not representative of the current student population of the University of Chicago either. How is this possible? Part of the issue stems probably stems from who is in the room when planning begins, who knows who, who has connections to whom, and who thinks what is cool. The bodega in my neighborhood will never be listed on Groupon. No-one who works at Groupon will ever go into the bodega or consider what it might have to offer. And so my neighborhood bodega, which makes the best tamales in the city of Chicago, will never be overrun by people who have discovered it through Groupon. Because Groupon will never discover it. Which brings us back to the title of this blog. What ideas are worth spreading? It depends on who you ask. Or, in the case of TED, who you know or who you’ve heard of. The origins of TED are rooted in the idea that the convenings should be designed to feed, inspire and expand people’s minds and imaginations (as opposed to drifting into current events, or the political.) I get the power of origins and I appreciate the founders’ intents on this front. So, the crux of the issue may become (when it comes to the audience members for the youth event,) who is the “best?” In upcoming months, as recruitment for the audience of the TEDx Midwest Youth event takes shape, we have a chance to define this -and this is the area I’m chewing on. I’ll continue to do what I can to encourage the “higher-ups” who make the decisions about these things, that in their drive to surface “the best and brightest” students we should be look for students who may not be that shiny yet; that the “most deserving students” may not be that driven or extraordinary yet; that the students who ought to get in as audience members may not have heard of TED yet. Because if there is one idea that may be worth spreading, it may be one that was put into place in the early days of the University of Chicago: the youngest, greenest students (aka “first-years”), if they are to be inspired to be scholars in earnest, need to be taught by the best teachers. This may be an idea worth spreading… Now we just have to get the “right people” in the room. This past weekend I was part of Science Online 2011, a conference held in Raleigh, North Carolina. Organized for the past five years by the dynamic duo of Bora Zikovich and Anton Zuiker, Science Online serves as a catalytic convergence for writers who write about science and scientists who blog – plus every kind of person in between involved with science communication, mainstream or otherwise. The conference is relatively small by design – roughly 300 people and a fairly tight program dedicated to issues specific to science communication and the blogosphere. From a glance, the attendees seem to mostly be between the ages of 25 and 55 and at least half are women. More than most are geeky. (For example, jokes by the comedian during the dinner banquet ranged from “So a bacteria/viruses/gene walks into a bar…” to deep consideration of the alternative units Han Solo COULD have chosen in lieu of “parsecs” to describe the speed of the Millennium Falcon in the original Star Wars, (Star Wars IV of course). It’s also fairly representative of the current “face” of science- the face Project Exploration is working to change, literally and metaphorically. Project Exploration is a nonprofit science education organization I cofounded which is dedicated to leveling the playing field in science through personalized experiences with science and scientists. My presentation title at the conference (and the title of this blog) is drawn from a line in Einstein’s credo: Although I am a typical loner in life, my consciousness of belonging to the invisible community of those who strive for truth, beauty, and justice keeps me from feeling isolated. I find myself thinking a lot about this quote. Project Exploration students are part of this invisible community. As students who struggle in school they’re invisible to the science initiatives that focus on the academic elite; as students who may not see themselves as smart and students who struggle with (or are pushed out of ) school their ideas, curiosities and passions are often invisible to teachers, the adults in their families and sometimes even to themselves. And yet, simply by being curious, by having ideas, by struggling towards something meaningful – truth, beauty, justice – they are part of the invisible community in which Einstein found solace and belonging. And, as bloggers Project Exploration students are also part of the “Science Online” community. When we hear about science and education in mainstream media – which we do nearly daily – we hear about crisis. We read references to Sputnik, which although the size of a basketball, cast a disproportionately-sized shadow across America in the late 1950s. We constantly hear about the ineffectiveness of teachers who are, at their best, some or more of the following: afraid of science; inept at inquiry or constructivist-based teaching methods; untrained, uncertified, unsupportive, uninterested. These are the dominant images of science. We rarely see science the way it lives at Project Exploration: groups of African American and Latino young people deeply and meaningfully engaged in science-immersion programs shaped by their interests and questions, taught by scientists of color. Mainstream portrayals of the crisis in science education are devoid of images of science as interdisciplinary or infused with art, creativity and adventure. Yet these are the hallmarks of high-caliber science, and the science our young people engage with at Project Exploration. Scratch beneath the shiny surface of the ever-present calls for “science for all” heralded in this time of crisis and we find the dull reality of science for “some:” regular and repeated investments in students who read well and write well, in students who have facility with math, in students who are already interested in science, in students whose parents can pay for out-of-school enrichment experiences. Nine teenage Latinas and African American girls tracking coyotes in Yellowstone, led by a Muslim Jordanian-American woman is “normal” at Project Exploration, rather than the exception. None of these students were required to pay an application fee, demonstrate a B+ average on their report card, or prove their commitment to pursuing a degree in science in college to participate in Project Exploration programs. They needed to be curious, open-minded and willing to try something new. They needed to show up every day during the expedition preparation week –and they needed to be willing to write about their experiences everyday. Increasingly, our students are also being asked to blog about their experiences via the Project Exploration Blog. After nearly a decade of programs serving more than 1000 participants we know a lot about what’s happening with our students. We know more than 95% are graduating high school and more than half of our high school graduates are pursuing higher education. Of these more than 60% are pursuing- or have already received – a degree in a science-related major. These statistics are manna for those whose vision is colored by the “science in crisis” lenses. However, based on five- and ten-year retrospective evaluations we also know the metrics that matter to students. What do students’ care about? 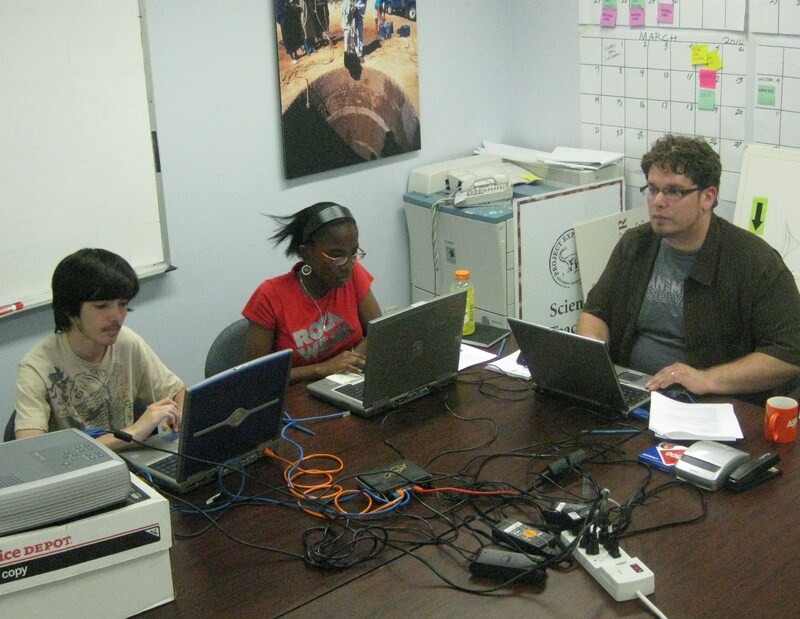 In the summer of 2009 a group of students, charged with the mission of designing “The Best Science Program Evah’” mandated that using new media and blogging were core skills to be developed. And the student blog was born. Project Exploration immediately adapted a blogging 101 syllabus I picked up from the 2008 Science Online Conference. The blog training is incorporated into their research-preparation for a field-expedition. We start by having students create a blog for themselves and learning the basic skills of writing a post, inserting links and images, choosing widgets and themes. After the training we immerse them in real science alongside scientists. We write with them – in journals – every day. Some of these journal entries turn into blog posts for the blog. After the field program is done some of the students continue to blog on our site and their own. So, what do students blog about when they blog? They blog about being in the field and the process of science. They write about how their view of science – and themselves – changes through their experiences. They write about events with Project Exploration. They write about political activities they’re involved with that have little to do with science. They write tips on how to be better bloggers. Sometimes we hire students as “resident bloggers” and commission them to cover science events run by other organizations. Their posts are seen. They are known. On our blog we have a map of the world that marks visitors in red – nearly every country has a dot. We have a widget that tracks visitors state by state and we’ve had visits from all 50. When we consider what students say matters to THEM about a science program, blogging hits nearly every mark: they’re known by name; they’re seen; they learn how to write; they’re not only in the news, in fact, they’re making the news that other people read. Voices of people of color are missing in the science-communication realm; and stories about science are missing in the blogospheres that serve communities of color. I went to the conference to get caught up on blogging platforms, new online tools and to highlight the role blogging can play for engaging young people with meaningful experiences with science. What I realize now is that the blogosphere needs our students as much as our students need the blogosphere. When this happens the invisible community may just become visible – and the online community will be less of a gated community. For the next five days I’ll be in Washington DC representing Project Exploration at a Symposium for recipients of the Presidential Award for Science, Mathematics and Engineering Mentoring. I’ll be blogging and posting on the Project Exploration blog. January 6, 2010: President Obama Recognizes Project Exploration’s Junior Paleontologists in Remarks to the Nation – Update 3 from Washington, DC. 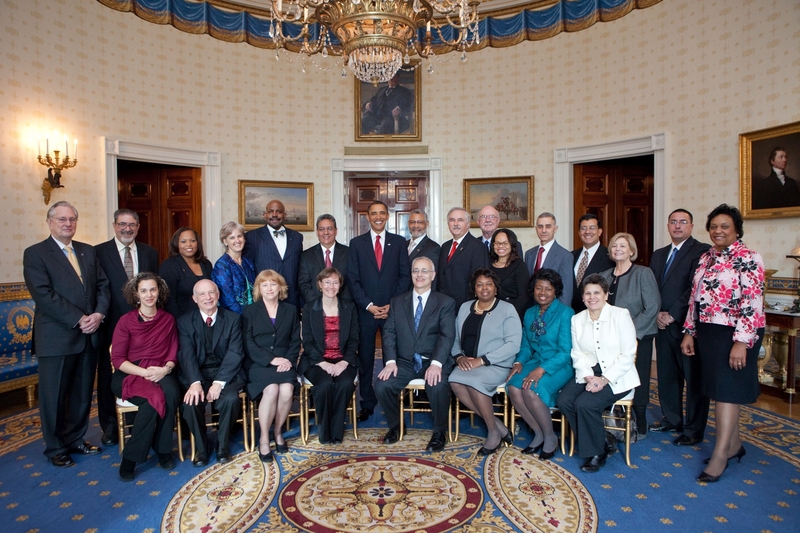 January 11, 2010: “Commencement: Innovate to Educate.” Update 4 from Washington, DC. I am just leaving the Midwest Afterschool Science Academy, a 3-day convergence of youth service providers, “mid-line” staff coordinators and managers, and a smattering of funders and state-policy-level stakeholdes, mostly from Midwestern states. Organized in large part by Jeff Buehler, with support from the Mott and Kauffman Foundations, the project has its origins in a 2008 National Conference on Science and Technology in Out of School Time coorganized by the Coalition for Science After School and Project Exploration. Something is happening, for the most part under the radar, that may have enormous implications for science and society as we know them both. Advocates for youth are asking questions about science – and how it can be for their kids. Let’s skip over, for a minute, the practicalities of the work at hand: equipping folks to help students learn science, figuring out what the “standards of practice” should be, the tensions brewing between the so-called “formal” education system and the so-called “informal education” system. Youth service providers, ranging from local social service agencies to national entites like 4-H, work with exactly the kinds of students least likely to get involved with science: that is, they’re serving kids of color, kids from families who can’t afford fee-based programs, kids who have disabilities. They’re serving millions of them, everyday. These people are getting involved with science – and they want access to it for their kids. Not just “keep-em” occupied activities; they want high-caliber programs that will give young people in ther programs the ability to think critically, go to college and get top line,top paying jobs. They want their kids to do science that is fun and inspiring and real. Why should anyone care? Because in the last three weeks we’ve seen the tip of the iceberg on a national-policy roll-out to support science education. 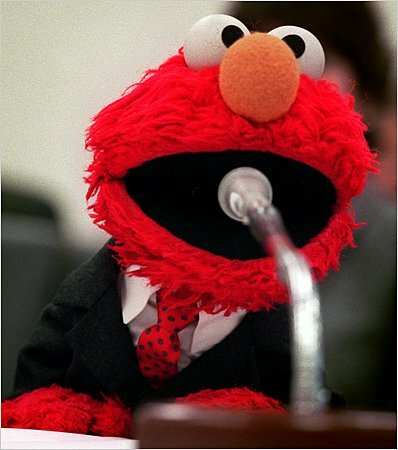 The New York Times heralded the news November 23 with a nearly-full page article entitled “White House Pushes Science and Math Education.” Time Warner is going to “Connect a Million Minds;” the MacArthur Foundation is underwriting video game strategies; Sesame Street is on board: science will live in Elmo’s world. “nationallabday.org” has launched. The “Race to the Top” is on! It’s clear the kids already at the top academically will benefit from these efforts. What is unclear is whether anyone else will. When the primary purpose of an investment in science is national competitiveness, investments, by and large, are geared towards those kinds of students (and corresponding teachers) who can help move this agenda forward. Which is why the convergence of folks who came to the Academy is so relevant. Conversations and questions at the Academy were impassioned: What’s worth knowing and experiencing in science? How can I make this stuff relevant to my kids? Who can help me? What should we be working FOR? What should our agenda be? What can and should change? How will we make these changes happen? Who else is doing this work? How can I work with them? What is next for us? These are not just curriculum questions, these are the questions that may be at the heart of a nascent movement that could fundamentally transform who science is for – and who gets to do it. Us. It’s an identity. It’s an understanding that there is a WE. And so we will. 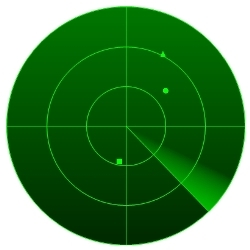 We will fly under the radar while we find allies who want to put kids at the center of teaching and learning and who care about using out of school experiences to help kids develop vision and passion and voice. We’ll find and learn from models that help us envision how science could be different for kids. And we will use these models to fight to change the world in which science for some remains acceptable.